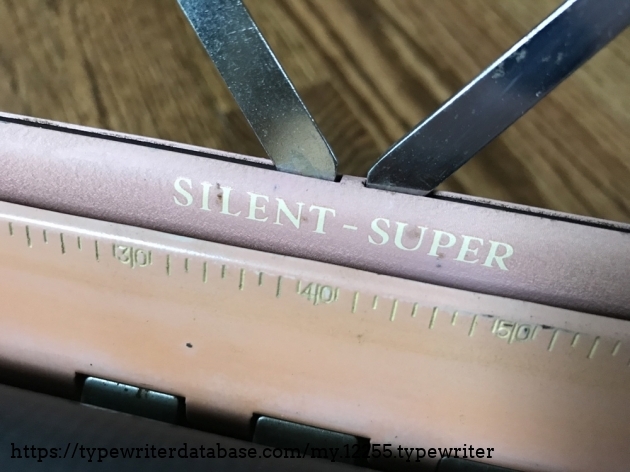 Mary Echevarria 1956 Smith Corona Silent Super Serial # 5T 416581 X 1956 Smith Corona Silent Super typewriter, Serial # 5T 416581 X Mary Echevarria's 1956 Smith Corona Silent Super typewriter. 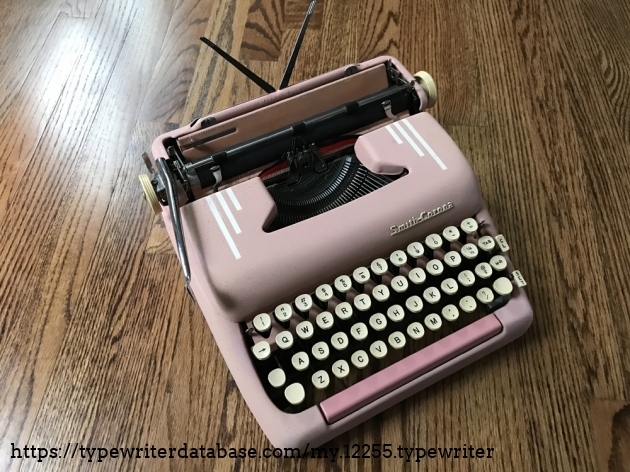 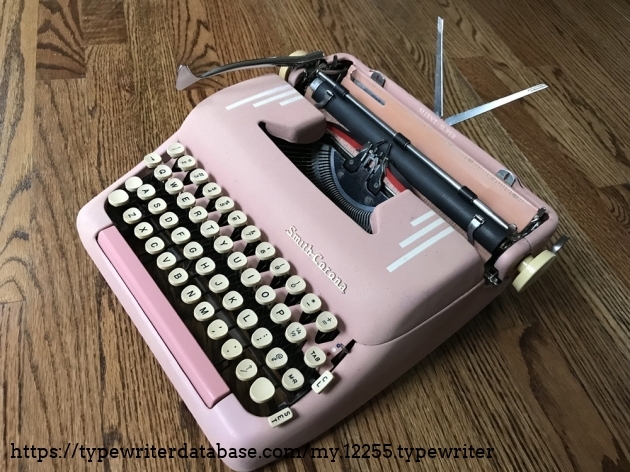 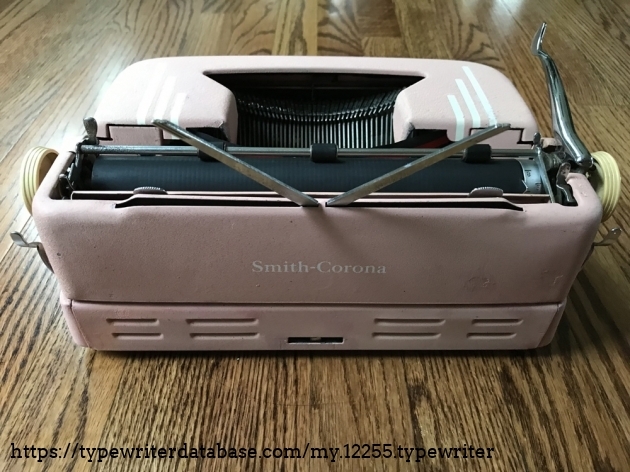 2019-04-14 2019-04-14 From the Virtual Typewriter Collection of Mary Echevarria: 1956 Smith Corona Silent Super Serial # 5T 416581 X An eBay purchase, it was very dirty and gummy on arrival, but it cleaned up nicely. 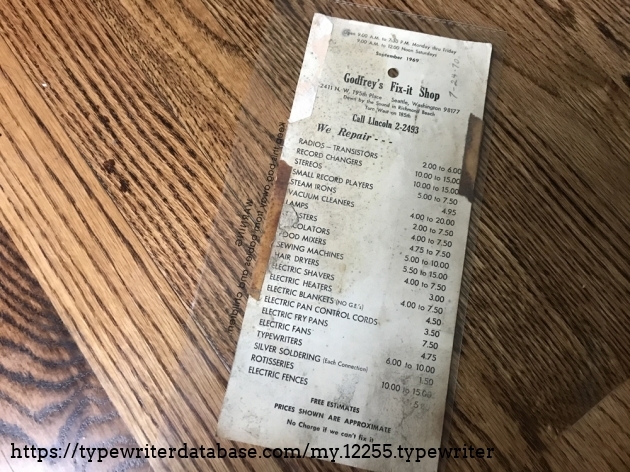 In case, I found a price list from Godfrey's Fix-it Shop (Seattle, WA) dated September 1969 that shows that typewriter repair was $6 to $10. 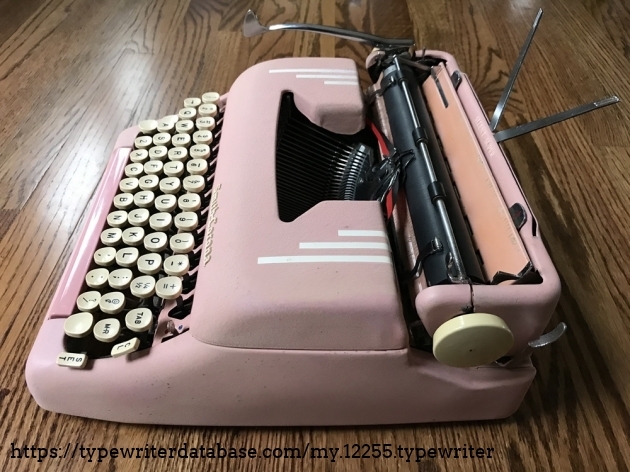 An eBay purchase, it was very dirty and gummy on arrival, but it cleaned up nicely. 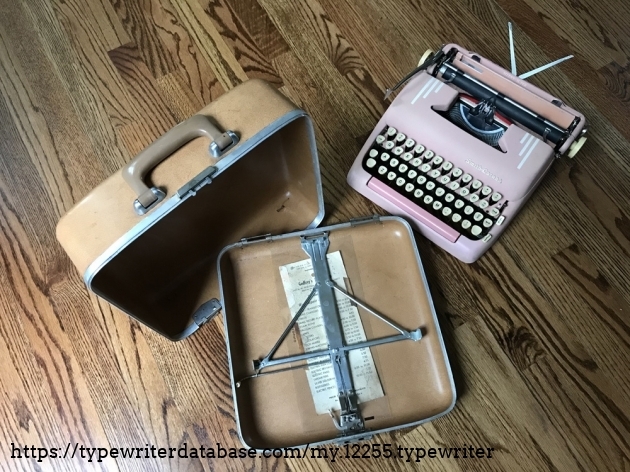 I'm a novice collector with a very small collection of mostly nonfunctional typewriters. 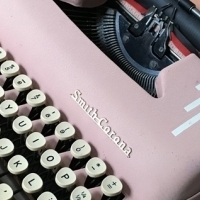 I enjoy tinkering and repairs, so I am slowly but surely putting these typewriters back into service.